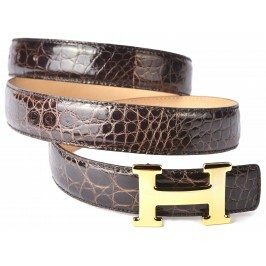 No kind of agreement, license or business link were made between LaPetiteCroisette and the named brands (Hermes, Gucci, Montblanc, Louis Vuitton, Gucci, Salvatore Ferragamo, Cartier) or any other business or fashion company owning any of the brands shown in the images of this product: photographed buckles, compositions and illustrations are only intended to properly inform the consumer about the use or purpose of the accessory, its compatibily as well as its main features. 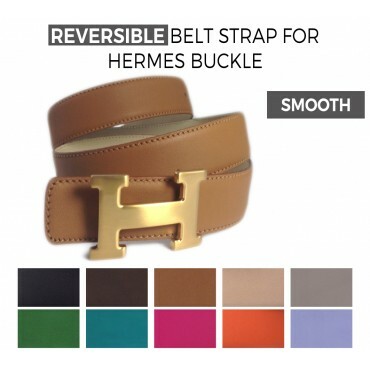 Reversible Smooth Italian Calfskin Strap replacement for HERMES Belts. 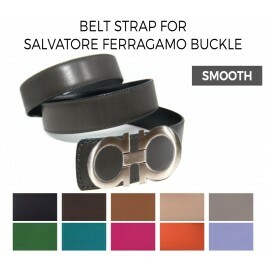 Double Sided leather belt with your choice of color on both sides. 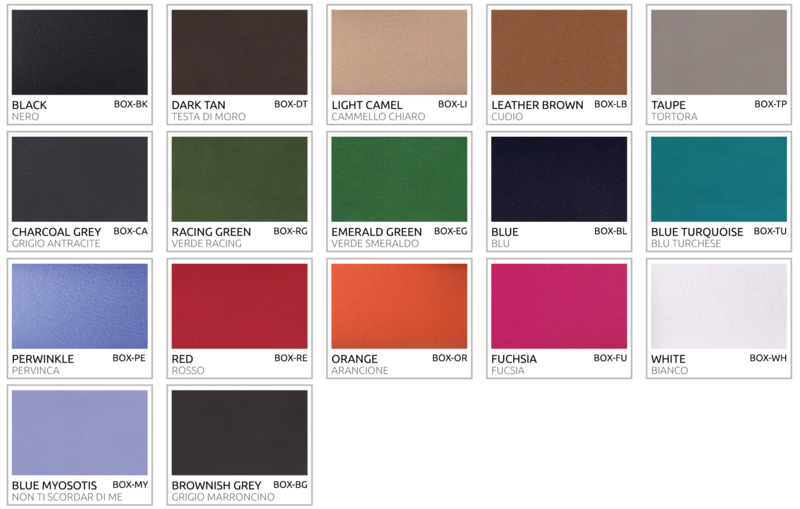 Depending on our current stock at the time of your custom order, we always guarantee a choice among several best selling colors which can be available EITHER with Soft Grain Pebbled Calfskin OR Saffiano Printed Calfskin. 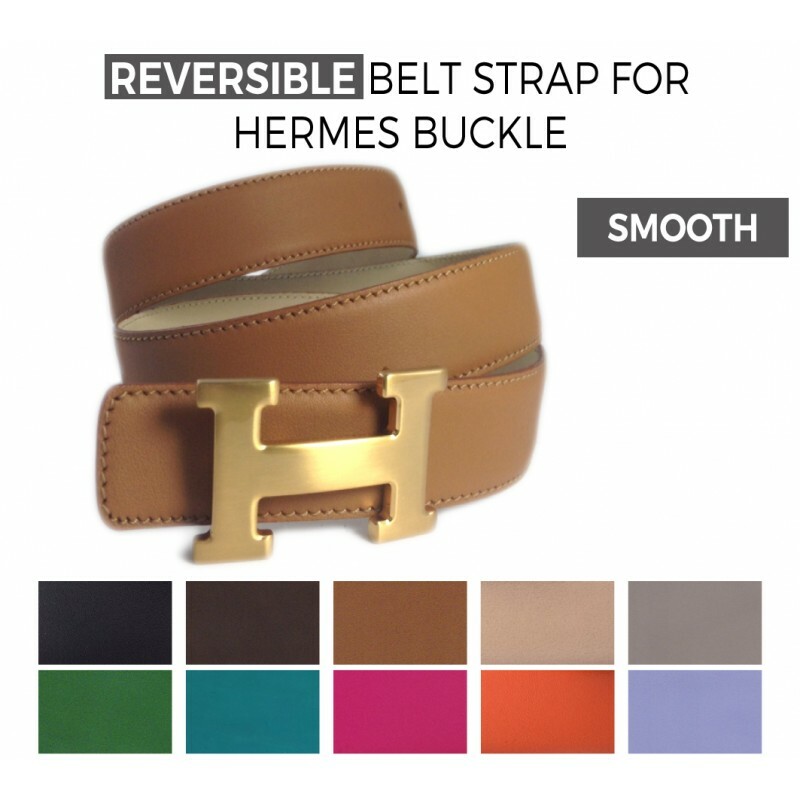 All belts are custom order only. 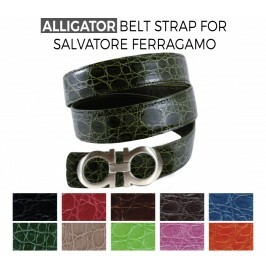 They are custom made to your size and specifications. 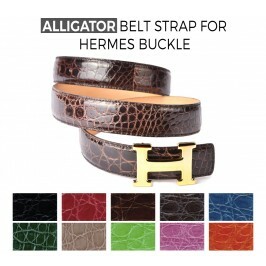 Please allow 7/10 days for your belt to be made and dispatched to you. 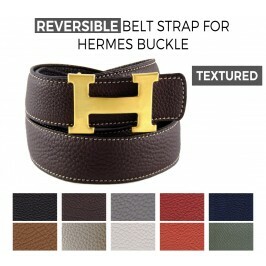 Please refer to the belt sizing guide just below the red tab, to assure correct sizing before placing your order. What we are trying to determine here is your BELT SIZE, i.e. the size to use for length when placing your order. 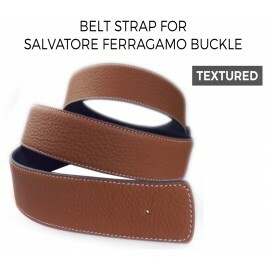 The BELT LENGTH from end to end is not considered for measurement purposes because it also includes the width of the buckle itself plus few additional inches of leather that every belt must have to the left of the buckle once it’s fastened: from the last (widest) punched hole to the very end of the strap tip, a belt should measures 10cm / 4 inches for standard belts with five holes and 12,5cm / 5 inches for those with three holes (Hermes style) respectively. 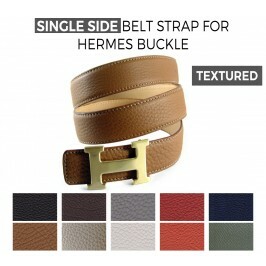 Enough to tuck under your first belt loop, or the loop of the belt if it has one, is a good rule of thumb. 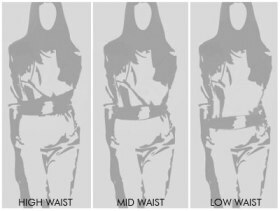 When it comes to measuring your waist size, there are different options according to your wearing habits and belt/buckle types. 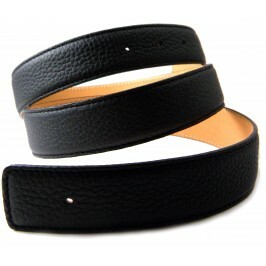 Using a belt that you already have, put it on and make a note of the hole that fits you comfortably. ON STANDARD BELTS, Carefully stretch out the belt on a flat surface and, depending on the buckle type you have, tape measure from either the prong or the inside of buckle where the buckle tongue ends ( A ), to whichever hole is currently being used ( B ) as shown below. 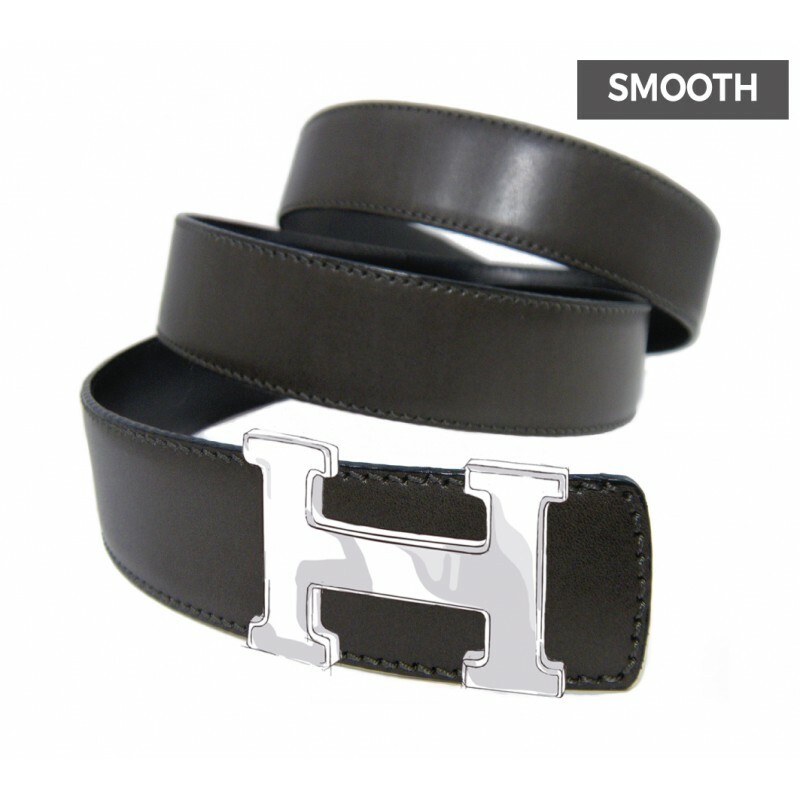 Basically, the measurement you need to provide us with will be the sum of two dimensions: the length from the fold in the leather belt to the main hole you will use PLUS the length from the fold in the leather belt to the hook in the buckle. 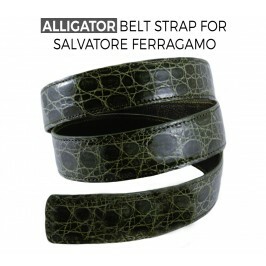 This establishes optimum sizing (length) and will be the center hole (out of five) of your new belt. From this center hole most of our belts (except for Hermes style straps with 3 total holes) have two punched holes longer (at one inch increments) and two punched holes shorter (at one inch increments); this arrangement gives you the widest relevant range in adjusting your belt. 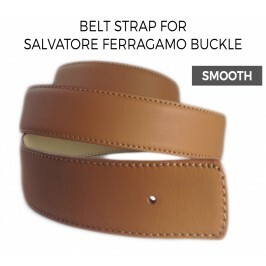 By using this method, you can be 100% confident that your new belt will fit you perfectly. Besides, in most cases it will let you save your old buckle (unless sewn on the strap) and use it on your new belt (if the buckle is detachable). Making Sure you are NOT wearing a belt while doing this, put a measuring tape through your pant/skirt loops and wrap it around your waist. 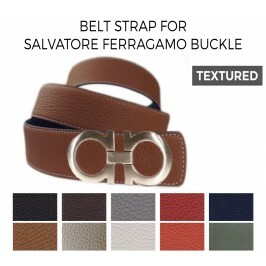 Because you don’t want your new belt to interfere with your breath, inhale deeply and then measure your girth. Where the tape end meets the rest of the band, you will read your bodily circumference. That will be the size you need to provide when ordering your new belt. For more accurate sizing, we strongly suggest you to take your measurements WITHOUT wearing garments. 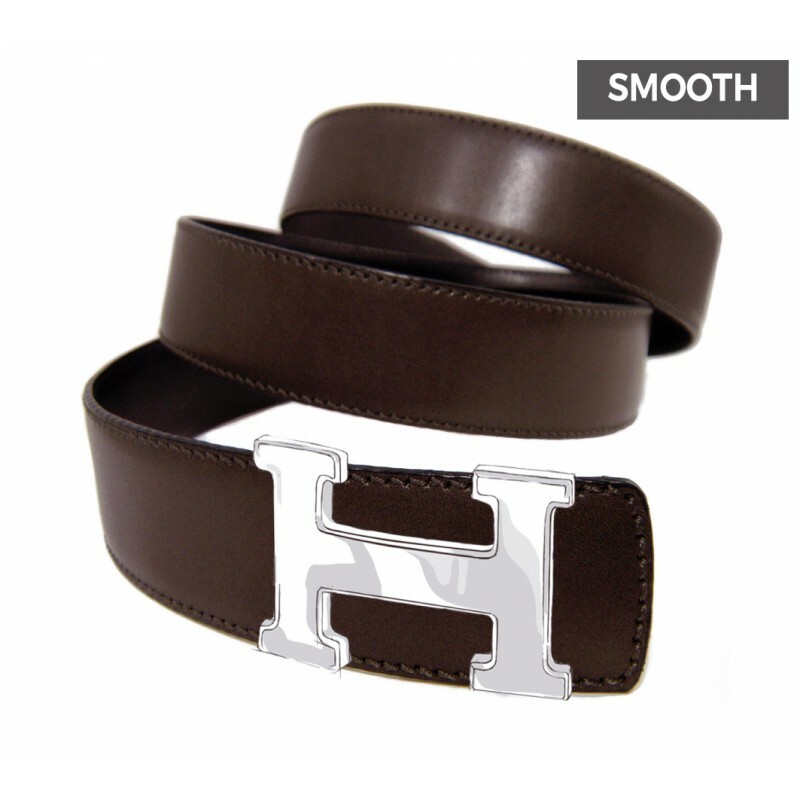 The size to use for length when placing your belt order will equal your bodily circumference PLUS the girth of your underwear, shirts, pants or skirt (usually 1 to 2 inches). 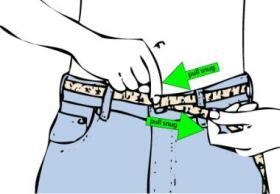 Based on your pants size, pick your belts one or two sizes larger to get a good fit: if you wear a 36” trouser waist, a belt labeled 38"-40” will probably be in the right neighborhood. This works some of the times, but it is not the most accurate way.